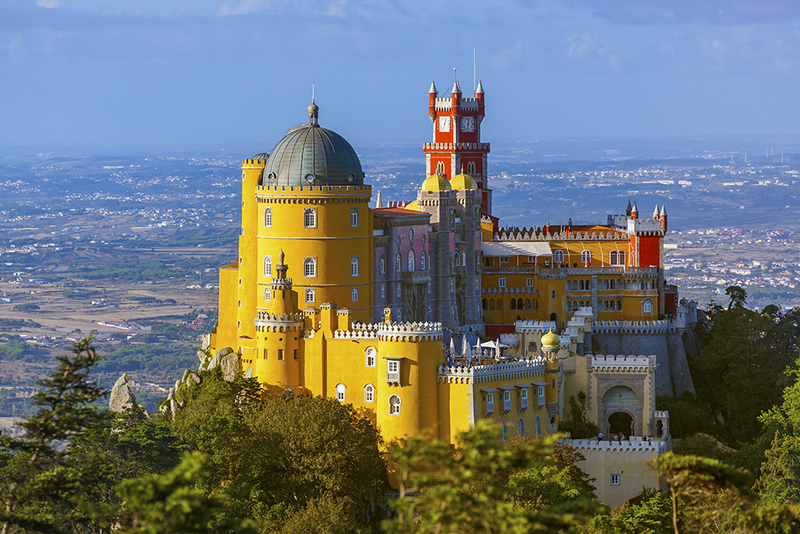 From the Fado clubs of Lisbon, to the Crayola-bright towers of the Pena Palace at Sintra, Portugal enfolds you in a welcome so warm – bem vinda – you’ll find it hard to leave. It’s not often you meet someone who’s worked at the same job, in the same place for more than fifty years. José Diogo Vieira, concierge at the über elegant Hotel Palácio Estoril in Cascais, Portugal is an exception. The Palácio is José’s home and he radiates hospitality – when he says ‘bem vinda’, it’s a very personal welcome. 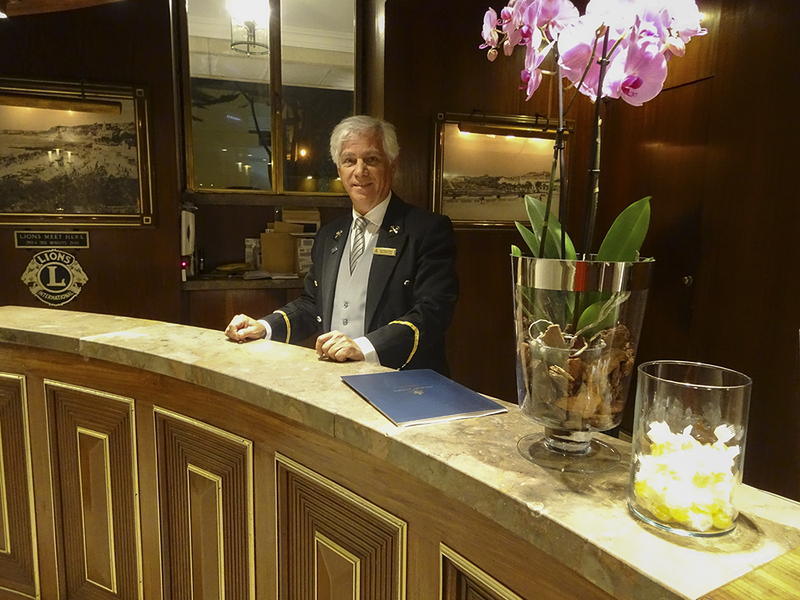 José began as a bell hop in the 1960’s, and can tell you every detail of the hotel’s history. In 1941, he explains, Ian Fleming, creator of the James Bond series, was a regular at the hotel bar, drinking with Serbian double agent Dusko Popov. “He would sit right here,” says José, patting Fleming’s favorite couch in what is affectionately called the ‘spy bar.’ “You sit here too!” he insists. After my barefoot sunset wander on the Cascais beach, the Palácio is a contrast. In the polished-mahogany-and-crisp-linen world of the dining room, white-coated waiters hover, expertly recommending, presenting and serving. No matter how lean, green and minimalist your diet at home might be, you’ll order the decadently delicious grilled foie gras with sweet figs and balsamic, rich shrimp and scallop risotto and crepes Suzette, flambéed tableside – of course. It’s the highest-end, old-school comfort food imaginable and it feels incredibly welcoming. The enthusiasm for hospitality is a hallmark of the Hotel Palácio Estoril and a reflection of an all-encompassing sense of welcome you’ll find everywhere in Portugal. It’s a country embraces visitors at every turn. 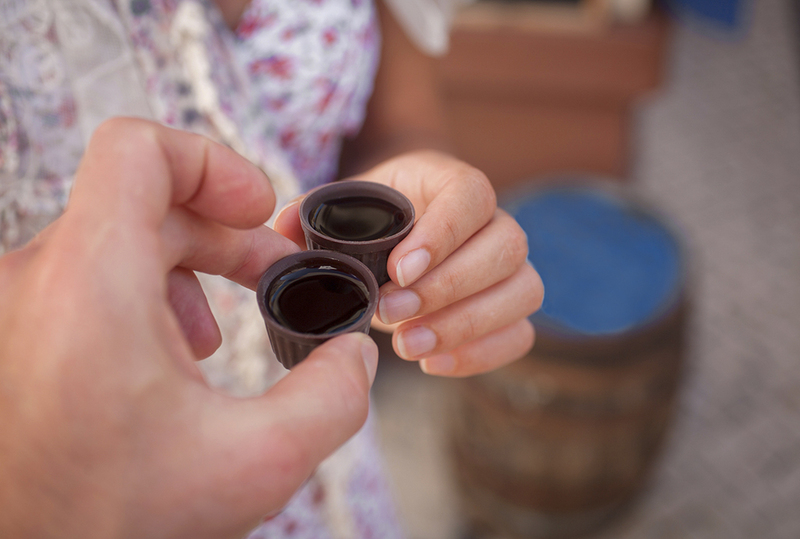 There’s a different sort of hospitality in the ancient town of Obidos where the twisting cobblestone streets are lined with not only shops selling the expected souvenirs and gifts, but also tiny bars selling traditional ginja, a cherry liqueur served in tiny chocolate cups. As you wander, shop, admire the geraniums poking out of window boxes, and walk the ancient battlement wall that surrounds the old fortified town, you’ll stop, sip and chat with the owners of the little bars, feeling the glow of the liqueur warming your belly. If you’ve had more than a little ginja, stay the night! The Obidos castle-turned-posada at the edge of the original village awaits but the small town nearby also offers another, slightly quirky and undeniably welcoming option – the Literary Man Hotel. “We have 60,000 books in the hotel,” the desk clerk tells you proudly as you check in, “and every one of them is for sale.” In this small boutique hotel, books are everywhere – filling huge shelves behind the reception desk, waiting invitingly on the bedside tables in every guest room and lining the walls of every public space. In the dining room, bookshelves cover the walls and piles of novels topped with simple candlesticks are the centerpieces on each table. As a talented jazz duo plays softly in one corner, guests flip through books, read books, touch books and savor books as much as they’re savoring their meals. It’s a bibliophile’s dream come true. Don’t be surprised if your luggage is heavier when you check out. One world-famous welcome in Portugal has nothing to do with a hotel, a restaurant or even an earthly host. 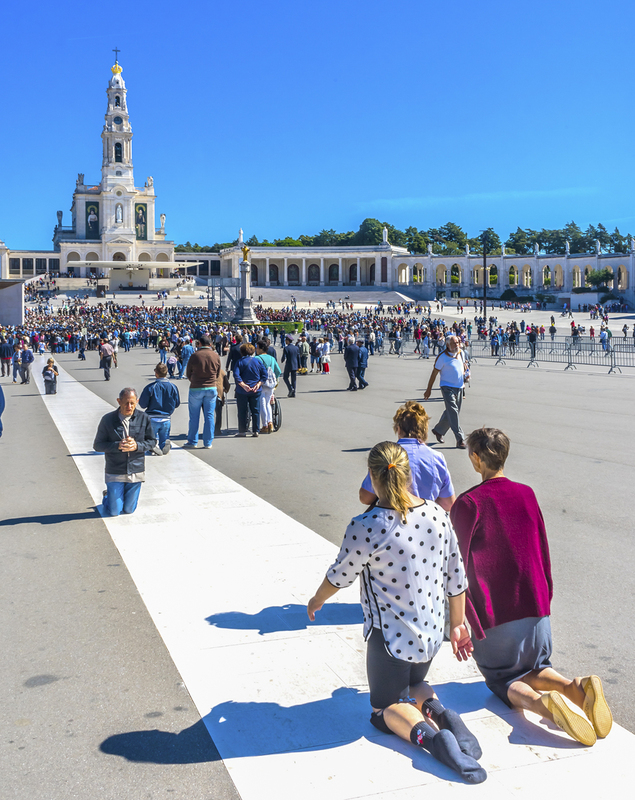 It’s all about the embrace offered to believers at the shine at Fatima. According to the story, on May 13, 1917, the Virgin Mary appeared to three young shepherd children. After returning to them on several other occasions, the Virgin is finally believed to have caused the sun to spin like a disc to prove that the children were telling the truth. The children now believed, an enormous sanctuary was built that has since drawn millions of people to one of the most important shrines in Europe. Some simply sight-see, many take part in the daily masses, while others show their devotion by crawling across the massive paved courtyard and circling the church on their knees – a punishing feat. At nearby shops, many visitors buy armloads of candles, or wax effigies of the three shepherds, Christ or the Virgin while others buy beeswax representations of human body parts like arms, legs, heads, livers, kidneys etc. symbolizing the various illnesses they believe have been cured by divine intervention. Carrying their offerings solemnly, the pilgrims toss the wax effigies and candles into the flames of an enormous fire pit inside the shrine grounds, murmuring prayers of thanks for favors received and loved ones healed. The gleaming white Basilica of our Lady of the Rosary, the smoking fires, the sweet smell of melting beeswax, faces of the devoted believers on their knees, the holy water fountain and the massive crucifix towering over the Basilica of the Holy Trinity all combine to create an experience you won’t soon forget, regardless of your religious beliefs a place that offers a unique welcome. In the UNESCO World Heritage site at Sintra, where neo-Moorish, neo-Manueline and neo-Mogul architectural styles collide and blend with whimsical abandon to create the stunning Pena Palace, the most impressive areas are those where guests were entertained. Imagine how the ornately painted ceilings and richly tiled walls of the dining rooms echoed with the laughter of noble guests. Like José of the Palacio Estoril, our Sintra historian guide Vitor Santos clearly takes a personal pride in the Pena Palace – from the delicate porcelain, crystal, and silver to the wealth of paintings on the walls. This, you feel, is his Portuguese heritage, his treasure and he is graciously sharing it with you. You might think that the warmth of the Portuguese welcome would be diluted by urban sophistication in the capital city of Lisbon but you’d be wrong. Coffee shops on terraces in every part of the city of the seven hills lure guests with some of Europe’s finest pastries – like the Bolo de Mel da Madeira (honey cake), Travesseiro de Sintra (egg yolk-filled confections called Sintra’s pillows) and of course, Pastel de Belém (the best of the traditional Portuguese egg cream tarts in a crisp, delicate crust). It’s impossible not to indulge, but the pastries aren’t the city’s sweetest treat. Lisbon, after all, is the home of Portugal’s beloved fado tradition – music that tells of loves won and lost in a city and a country to which each singer seems completely devoted. Fado is everywhere in Lisbon – playing on the radio, on the loudspeaker systems in the shops and most importantly, in the Fado clubs of the Alfama, Mouraria, and Bairro Alto districts of the city. 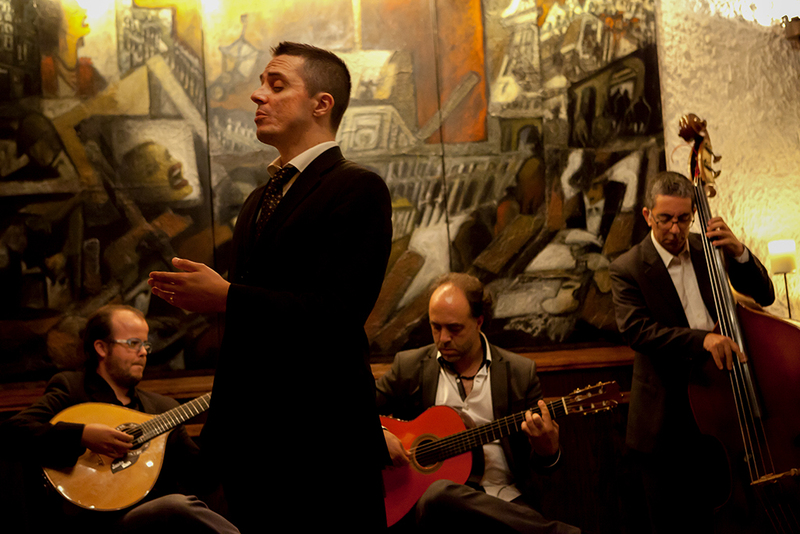 Visit Luso, one of the most famous fado clubs in Lisbon, and you’ll be welcomed into a tightly packed dining room filled with fado fans. The menu features Portuguese specialties with lots of fresh fish and seafood options – but no matter how good the food, the meal will be secondary to the music. As you’re sipping your first spoonful of soup, the lights will dim to darkness as the Fado singer and his or her guitarists arrive. All conversation will stop as the dramatic, tragic music fills the room and engulfs you. This is not sing-along, hand-clapping, finger-snapping fare – these songs tell of heartbreak, loss, despair and longing – for a loved one perhaps – but most importantly for Lisbon and Portugal. Whether or not you understand the words of the Fado singer, the passion will be unmistakeable and irresistible. As the songs rise to each heartfelt crescendo, you’ll feel immersed, embraced, and endlessly welcomed into the very heart of Portugal. to reach by car. Flights from Canada are plentiful with Air Canada and Transat, but another great choice is Azores Airlines, which also offers stops in the Azores for an altogether different taste of Portugal. And your local travel professional can assist in any aspect of your Portugal vacation. Written by Liz Fleming. Originally published in Cruise & Travel Lifestyles Spring/Summer 2018 issue. Main photo: The picturesque seaside village of Cascais. Photo credit: Calin Stan/iStock.